Salming are using two different types of mesh in the upper. In the the midfoot, together with the EXO Skeleton we see a very thin, firm mesh. Same mesh has been used on earlier Speed as the third layer, but server here as a single layer. You can literally see straight thru the shoe. Together with the Exo Skelton the midfoot is very secured and at the same time the mesh breathes very well. I could see how this mesh can benefit a triathlete who need good drainage. The toebox of Speed is wide and offer a more softer mesh, to avoid hot spots. The toes get a lot of room to spread out. 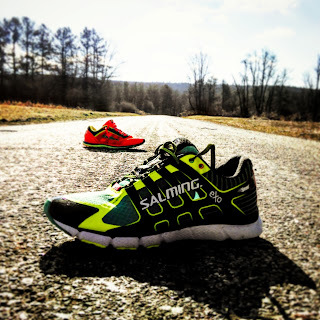 The wide toe box takes away the snug fast feeling, the original Speed offered the runner. Speed offer a soft thick ankle collar that protects and heel does not slip. Together with the snug fit in the midfoot area and the wide spread toebox you get a nice fit, but it does not feel as fast as the name Speed should, more like a performance shoe. EnRoute upper kind of looks like the old Speed upper so maybe the EnRoute upper would have been more suitable for Speed5 and the other way around? -Too wide toe box for my like, feels like toe box and mid-foot wrap are not synchronized together. Speed and EnRoute are built on the same last, with a Recoil compound as the main ingredients. While EnRoute offers more cushion, Speed5 has a more firm Recoil solution. The firmer Recoil works better when you pick up the pace, but can be a bit harsh on your legs at lower paces. 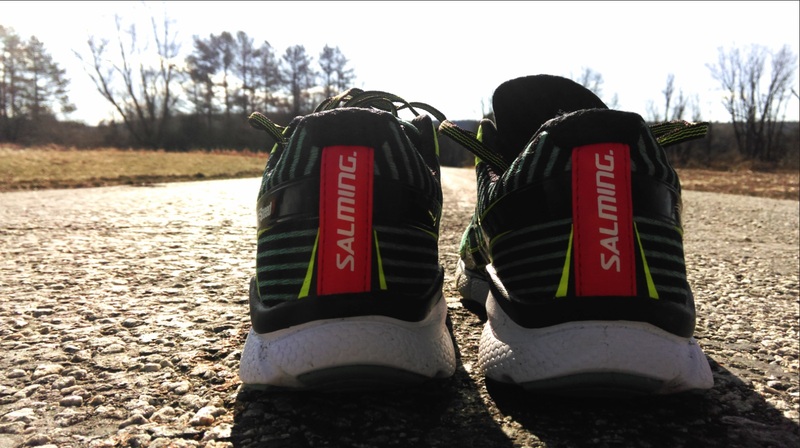 Speed does not have the same torsion unit as EnRoute, instead its built in, like Salming Miles, in the Recoil material for a better heel-toe transition. 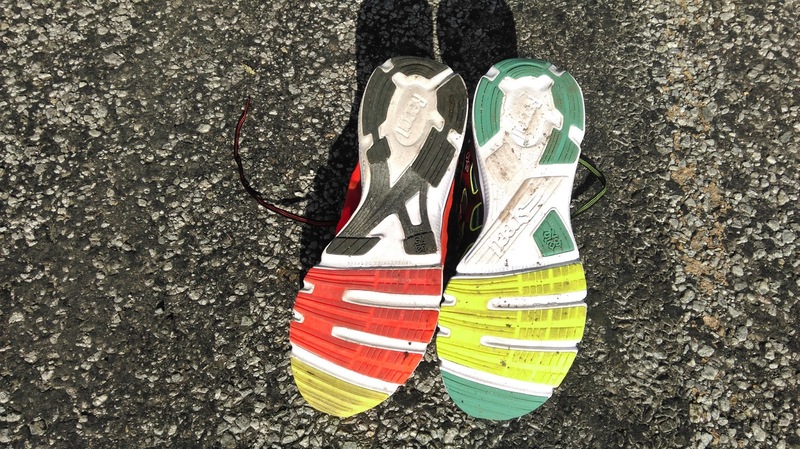 Speed5 and EnRoute share the same outsole pattern, blown rubber. 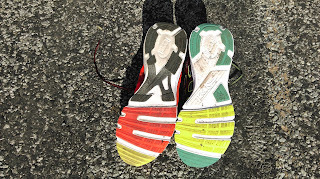 The rubber cover most of the parts of the outsole and offer good grip on pavement, wet and dry. Of course Salming 62%/75 degree approach is in cooperated in the midsole/outsole. With first flexgroove after 62% of the shoe in a 75% degree for a natural flex . The flex grooves are deep and offer a great flex in the fore foot that works with your transition. -At the same time the firmness of this shoe can be to much when you run easy pace. -Could see a more aggressive outsole pattern, for a faster feel. Speed has got a bit of a cult status back in Europe and Sweden, so I can see how many runners questions the extra weight and "more shoe". 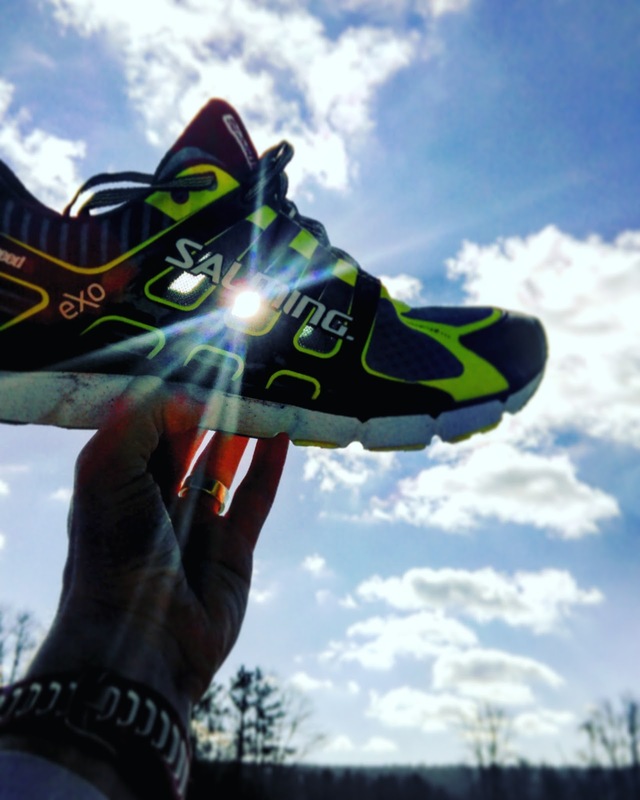 Speed5 is more in the performance category now and Salming D5 will represent the brand in the marathon flat category, as D5 have lost some of its weight. The new Race5 is also like a good option for the runner who seek the old raw"Speed feeling". As mentioned above the ride of Speed5 is firm and responsive, according to me, this is a shoe for the faster days, not the recovery day or easy miles. I have now over 50 miles on my Speed5 and I feel the Recoil foam has started to ease up a bit, so my conclusion is that Speed5 needs some break in time. 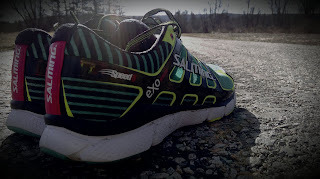 This is my second shoe from Salming that are using the Recoil foam, Miles was my first shoe. I hope Speed5 Recoil offers the same durability as my Miles. My first pair of Miles has now over a 1000 miles and still going strong. 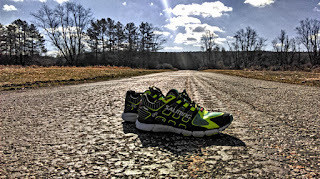 If I can get 1000 miles out of a pair of performance shoes, that would be fantastic! Salming Speed5 is very close to Salming EnRoute and I can see how Salming wants to build on the EnRoute momentum and have a faster option for those runners who are using EnRoute as their daily trainer. To get an even more faster feeling of Speed5 I would have loved to see a more streamlined upper. Interesting review, as you say, the remake of Speed has caused quite a lot of debate among fans of the earlier Speed-models and especially the higher weight and the similarity to Enroute is questioned. I nod in agreement when reading "The firmer Recoil works better when you pick up the pace, but can be a bit harsh on your legs at lower paces" I haven't tried Speed 5 but I notice this also with enRoute, I ran 28k mostly easy pace yesterday and today I am quite sore in my feet and legs. EnRoute works great when picking up the pace but is still quite firm I think at easy pace, although I have to say that I really like the soft upper of the shoe! Just tried for a speed workout. Feel a little builky, as suggested above, they may need time to loose some firmness. I came from D4, definitely lighter and smoother. I founded the sides of the upper interfere with my feet, got a small blister indeed; sizewise I founded them true to size. Not a love a first sight. I get that the speed 5 is a shoe for faster days, so is that the case with the enroute? As you guys speak about similarity. Or in a shoe rotation would the enroute be your daily trainer with the speed 5 as your fast day shoe? I guess I am asking when you speak about similarity between the speed and enroute are you talking about ride and feel or the use of the shoe?